Lyme disease is an infectious disease caused by the bacteria Borrelia burgdorferi and affects horses, humans and many other animals. Although Lyme disease in horses is quite common for animals living in high-risk areas, equine Lyme disease is not easy to identify, since fewer than 10% of horses show any symptoms. Lyme disease is caused by a bacterial spirochete, Borrelia burgdorferi, which is spread by ticks. 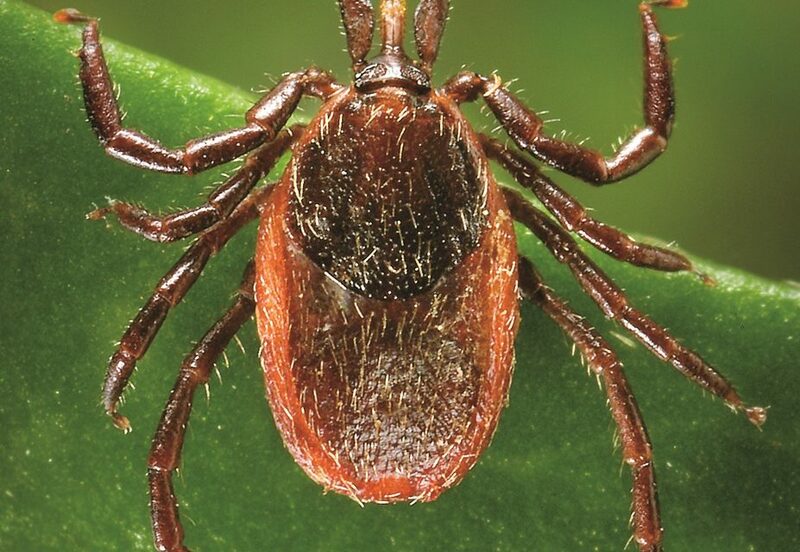 The ticks belong to the Ixodes family and are primarily found on deer, but can also be found on rodents such as the white footed mouse, the kangaroo rat, and the wood rat. These animals serve as an intermediate host for ticks when then move on to infect horses, cattle, and pets, as well as humans. Currently, there is no vaccine against Lyme Disease approved for use in horses. However, in regions where the disease is common, some owners choose to have their veterinarian administer the canine vaccine to their horses. The typical schedule for vaccinating horses includes an initial vaccine and then a booster. Biannual boosters are needed to achieve year-round protection in Lyme-endemic areas. No safety studies have been conducted for this vaccine in horses. Veterinarians who have been administering the Lyme vaccine for several years report an incidence of reaction similar to other vaccines. Apart from the canine vaccine, your horse’s best defense is to limit exposure to ticks.